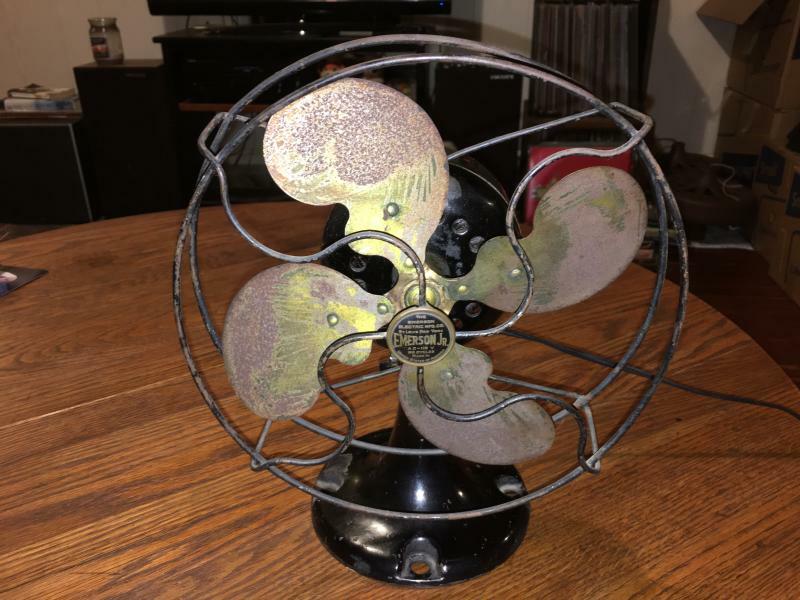 AFCA Forums > Antique Fan Collectors Association > Post-1950 (Vintage) > New to forum, wanted to share one of my favorites. First post—Here is my Emerson Jr 8”, one of the first fans in my collection that I’ve been working on since I was a kid. The fan is all original except the cord. Glad you guys are here! I’m happy to be in good company. 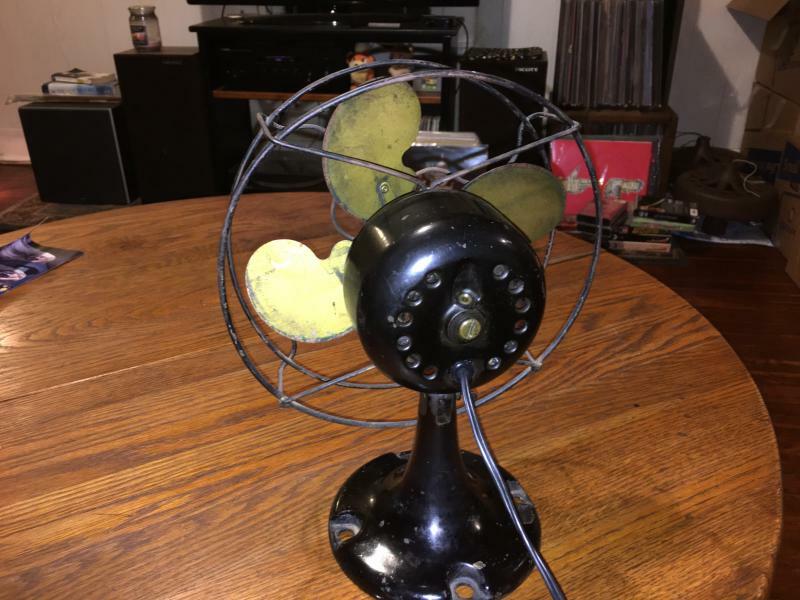 Nice fan Andrew, that is the first edition Emerson Jr & is a 9" fan. Yours would be in the 1921 - 1922 date range. The 8" did not come out until 1926 & had a different badge. To have been the cheap or working class fans, they were extremely well built fans! By the way Andrew, we are hosting the Lake Houston meet October 5 & 6, come hang out with a bunch of fan nuts. Oh, neat! That’s right down the road for me. I’ll put it on my calendar. Thanks for letting me know! Also thanks for info on the fan, I always assumed it was 8”. I never thought to measure it and I’ve had it for 18 years or more! The replacement cord has a switch, but I assume these were originally a “switch-less” fan, right? Yep they were originally plug & play. I like having a switch on the cord though.Hope to meet you in October! Here is the info Andrew. Page processed in 0.1919 seconds (33% database + 67% PHP). 27 queries executed.